Borrelia burgdorferi, Anaplasma, Ehrlichia, Chlamydia pneymoniae, Chlamydia trachomatis, Yersinia, Epstein-Barr Virus, Cytomegalovirus,Â Babesia, Bartonella, Mycoplasma and Varicella zoster virus . This test is highly sensitive and can detect even one single Borrelia burgdorferi-reactive T-cell. This is one of the most sensitive cellular assays available, as detection levels can be as low as one cell in 100,000. . The Elispot reflects chronic and recent Borrelia burgdorferi infections. . 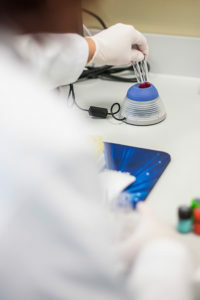 It is between 20 and 200 times more sensitive than a conventional ELISA test. The EliSpot displays similar sensitivity to an RTPCR (Real Time PCR) analysis, but detects the secreted protein instead of the mRNA (messenger RNA). . This test can be helpful in monitoring therapeutic treatments. It should become negative about 4 to 8 weeks after the completion of an effective therapy. 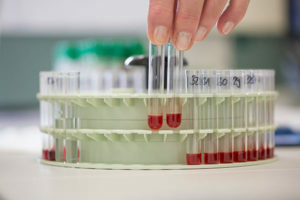 Antibodies can be tested by the modern microarray SeraSpot and ELISA test techniques. In general, the SeraSpot test is more specific and sensitive in detecting Borrelia antibodies than the ELISA test. The development of Borrelia burgdorferi-specific antibodies can be avoided by antibiotic therapy in recent infections. While acute Borrelia burgdorferi infections and other diseases show normal CD57+ parameters, chronic Lyme patients often have less than 100 CD57+ cells/Î¼l. According to scientific studies, a suppressed absolute number of CD57+ cells has been observed in patients whose nervous system has been affected rather than patients whose tissue or skeleton system has been affected. The decrease in CD57+ cells lasts until improvements in symptoms have been achieved via antibiotics and other forms of treatment. Polymerase Chain Reaction (PCR) is a molecular biology technique that amplifies a few DNA molecules into millions of copies of a special DNA sequence. 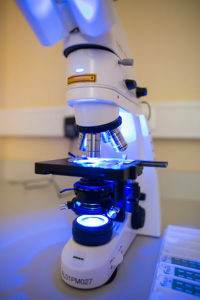 Bacteria or viruses can be directly detected from different human samples, such as blood, urine and tissue. In 1993, Mullis and Smith were awarded the Nobel Prize in Chemistry for their work on PCR. 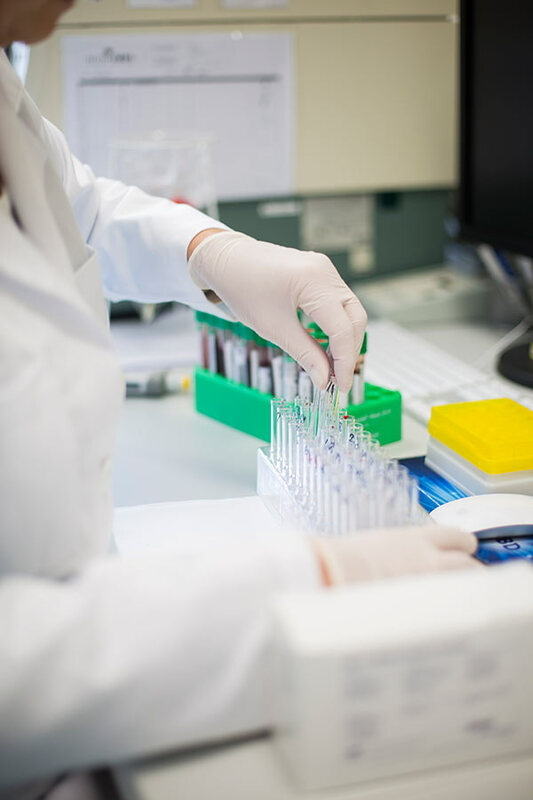 ArminLabs specialises in T-cell tests (Elispot), B-cell tests (IgA, IgM and IgG antibodies), and NK cell tests (CD56+ and CD57+). We also routinely provide a vast array of both common and exclusive diagnostics and can arrange many further tests on request.